Oak Grove is a new shopping center designed to mimic its surrounding neighborhood with pitched roofs and arched entries. 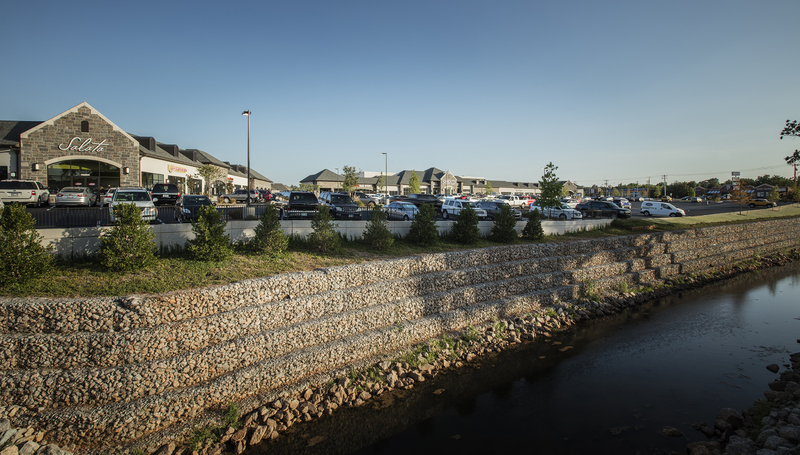 The new plaza includes local and national retailers, specialty shops and restaurants and is conveniently located among growing residential neighborhoods and three of the four private golf and country clubs in the Oklahoma City Metroplex. Wallace Engineering provided structural engineering services for the new 70,000 square foot shopping center which consists of two separate buildings anchored by a 30,000 square foot Sprouts Farmers Market.